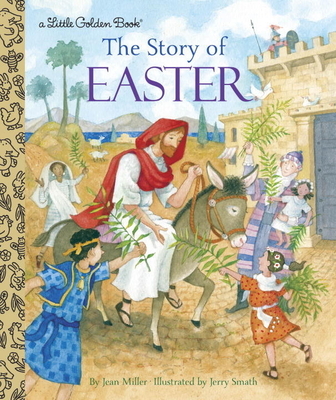 Back in print with beautiful new illustrations: a Little Golden Book retelling of the Easter story--the perfect gift for children to learn true meaning of the holiday! JEAN MILLER was a freelance writer and teacher of photography. JERRY SMATH illustrated his first Little Golden Book back in the early 1960s. More recently, he illustrated the Little Golden Books Miracles of Jesus, Bible Stories of Boys and Girls, and The Story of Jesus.